Who knew a 4 X 4 could hold so many possibilities? A quick search on Pinterest will give you hundreds of ideas on 4X4 Wood Crafts! 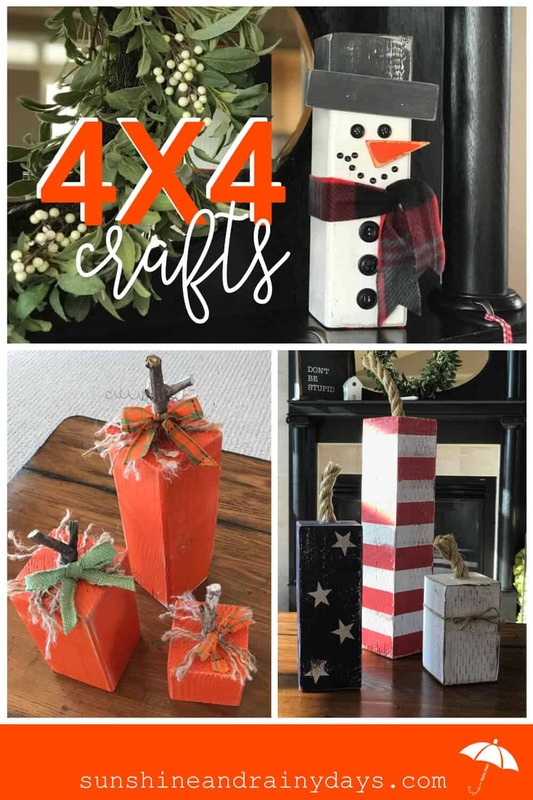 From furniture to decor, 4 X 4’s are super fun to work with! Here, we share the 4X4 Wood Crafts we have created and made ourselves! Last fall I looked for a festive way to decorate our front porch. We had only been in our house a few months and had sold just about everything before the move. Our giant light up pumpkins didn’t make the cut and were sold at our moving sale. I wanted something different. Something rustic. Something that wasn’t found in every store. THEN, I stumbled upon the 4 X 4 Pumpkin idea at a local gift market. Yay! We picked up a 4 X 4 at the hardware store and set to work! 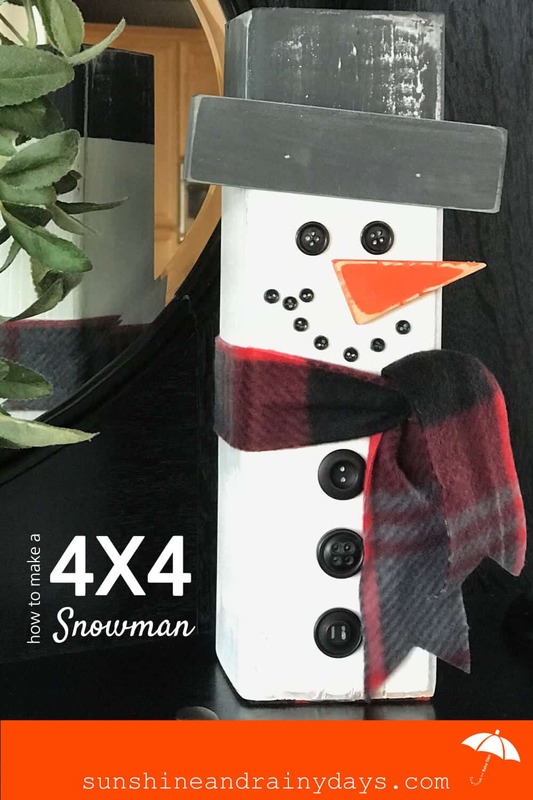 4 X 4 Snowmen ideas were floating around Pinterest so I took the remainder of my 4 X 4 left over from Pumpkin making and created my own version! It turned out so well that we purchased three more 4 X 4’s to make them as gifts! May rolled around and our fence was falling apart. Like, seriously! We had crutches holding the thing up until we could find someone to replace it. The guy we hired to replace our fence was super creative and, instead of charging to haul the old fence to the dump, he found a local woodworker to pick it up … free! Fortunately for me, the woodworker chose not to take the 4 X 4 fence posts. 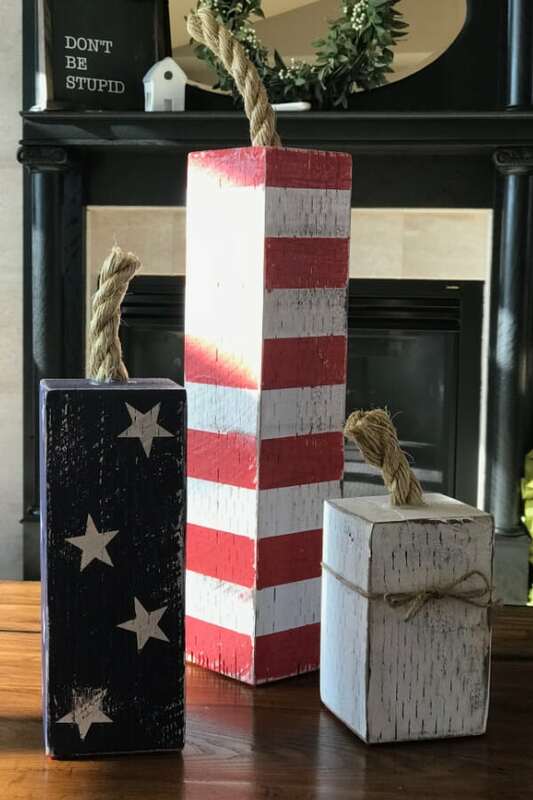 I got motivated to use those 4 X 4’s and created Fourth Of July Firecrackers! We started with short firecracker sets and then moved to tall sets. I listed them on our local Facebook Marketplace and they sold like hotcakes! We even sold the set we had for our own front porch. It turns out that people like 4 X 4 rustic decorations! 4 X 4’s … they aren’t just for fence posts!